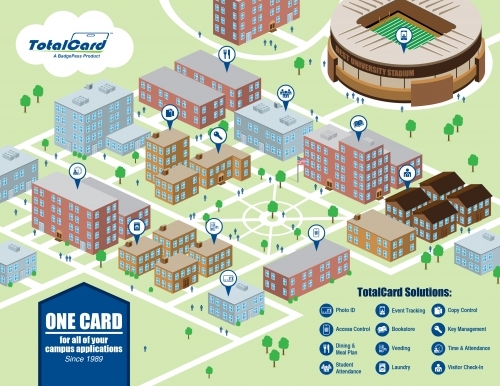 TotalCard’s attendance tracking module allows campuses to seamlessly integrate with their Student Information System and track student attendance, helping teachers to enforce attendance policies that would otherwise be extremely difficult to manage in large classes. Students are asked to present their student ID to a reader at the front of each classroom when they arrive to check them in for class. Acceptable check-in times are customizable for each university and data is reported back to the Student Information System in real-time.